I must confess: I’ve read novels by Richard Wagamese, and I’ve liked them. I’ve looked at his picture and I think, here’s a guy who smiles easily. And maybe it’s a romantic notion, but I have always thought poets aren’t quick to grin, so somehow he seems just that much more intriguing. And while poetry readers may typically be the type to pack a wicker basket picnic and wander into a meadow to laze about and read poems in the waning afternoon light, I ended up reading a lot of these poems on the subway. Some others with the news blaring in the background. But always — always — the words of Wagamese, the poet, were the loudest, the most alluring distraction. Poetry, by Wagamese and all poets, is a unique universe. It’s documentary rather than fiction. It’s a feature film more than a reality show. It’s the kind of writing you can’t really slide into a novel because it slows down time and makes you drift. Children’s verse author Eleanor Farjeon says poetry “is not the sea, but the sound of the sea.” Robert Frost says “A poem is a lump in the throat, a sense of wrong, a homesickness, a lovesickness…” The poems of Richard Wagamese, in this, his first collection, are like that. All you know is beauty and hurt and a wry sense of picking up on the things you missed the first time. 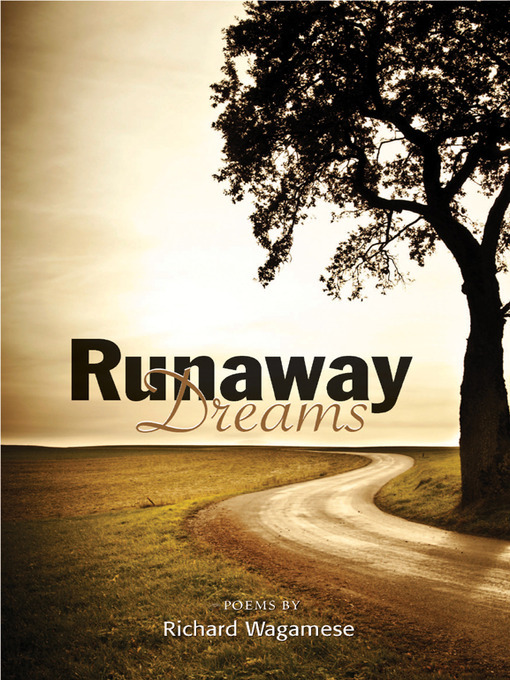 Runaway Dreams is a magnificent story spoken in poetry.